Jackson Taylor and The Sinners have rescheduled this upcoming week’s shows after what initially appeared to be a sore throat has turned into a potentially more serious situation for the band’s illustrious frontman. Taylor came down with what he thought was a throat infection last week but decided to soldier through a New Years Eve performance at Banjo’s in Pittsburg, KS. The band then decided to reschedule shows at Guitars & Cadillacs and The High Note in Illinois to January 22nd and 23rd to give time for Taylor’s throat to rest up. But since then Jackson has discovered a lump in his throat that has the singer and his fans concerned. 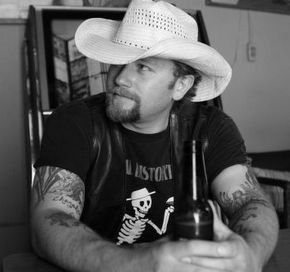 Jackson Taylor and the Sinners are a full-tilt, raucous country rock band that’s regularly identified with Texas Country, Outlaw country, and Southern rock all at the same time. They released Cantina Del Diablo in February of 2015, featuring previously-released songs cut live in a stripped-down acoustic manner. They also released a Live At Billy Bob’s Texas CD/DVD combo in 2014. Meanwhile fans are hoping for a positive prognosis for the frontman. ***UPDATE: According to Jackson Taylor, the lump has shrunk from its previous size today (1-3), making them think there’s less of a chance it’s Cancer. He sees a doctor on Monday to look into it further, and also has an appointment to see a throat specialist. Had tickets for the January 1st show at the High Note in Pekin. Praying that Jackson has nothing serious. His show is hard to beat, last time at the High Note he played for 2.5 hours without a break. Total entertainment, and a great guy offstage. Shared a little Jim Beam with the man. May Jackson recover quickly and hopefully he has nothing serious. He is so fabulous. We spent a night in Houston after the Texas Music Cruise in ’09 before flying back to Memphis, and happened upon his show. I told him we came “all the way from Memphis” to see him, and he said “NO SH%T? ?” I hope we’ll get to see him again. Hope everything turns out OK, has to be a frustrating thing to go through. HAVING A THROW DOWN THIS WEEKEND IN LOUISIANA ON FRIDAY AND SATURDAY NIGHT. IF YA’LL DON’T MIND COULD YA’LL LET ME KNOW.